The Gospel Oak- Barking (GOBLIN) Overground route will be closed continuously for eight months from June 2016 to allow upgrade works to take place to allow 4 coach electric traction to operate the line. Several bridges will need to be altered to give clearance for overhead wires (the bridge over the A1 at Upper Holloway being one such identified). Just worth saying that the Network Rail possession plan shows the following. South Tottenham - Gospel Oak closed early Oct 2016 to 4 Feb 2017 so full line closure for 4 months. South Tottenham - Gospel Oak trains only run M-F from June 2016 to early Oct 2016 as entire line is shut every weekend. Bus replacement services will operate. Therefore the Standard was sort of correct but doesn't quite have the detail. There is also nothing on the TfL Closure 6 month look ahead document other than the weekend closures. I assume TfL are waiting to do a proper "launch" of the project, blockades and replacement service arrangements. Yes! At last - I have no problem at all with the closure, to get a better service in the long run (again with a delay on longer trains in the meantime). I am a semi-frequent user of this - when I meet my other half at work sometimes, we go for Turkish meal at Green Lanes, then get the Overground back to Wanstead Park. 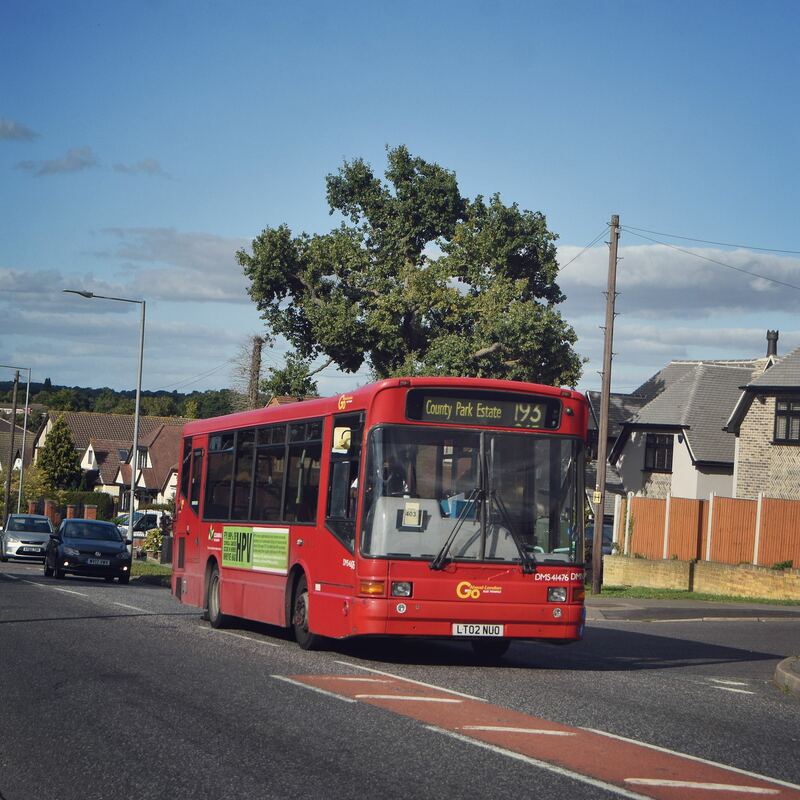 It's a fantastic route - the fastest you'll do North to East London. Unfortunately, the two car trains are nowhere near enough for the amount of people, and (apparently) the frequency can't be improved due to freight train working. It really is hell on wheels. So crowded and such an unpleasant experience. You could argue that my journey is leisure, so avoidable, but on the big picture the route desperately needs longer trains so I'd back this shutdown for a better result in the end. Two Mayors Questions and Answers that may be of interest. Network Rail has committed to complete the works in June 2017. Thanks to further TfL investment on both this route and West Anglia there is now a significant train order for the new Class 710 electric trains in place, which was placed as early as possible and before the electrification was authorised. These brand new trains are being delivered as quickly as possible and are due to start appearing on the London Overground from early 2018. It is not financially viable for TfL to lease other electric trains to cover any gap from the completion of electrification and delivery of the new trains. Looks like the PR machine is slowing grinding into action so far as the GOBLIN electrification is concerned. Gives some good insights into the work that will be done and where as well as some of the technology they will use. The last day for through Barking- Gospel Oak trains is Friday 3rd June 2016, trains will continue to run weekdays only between South Tottenham and Gospel Oak until 23rd September 2016. The whole line will then be closed continuously between 23rd September and 7th February 2017, when the through rail service will resume with the current diesel 172s (but with weekend closures for further engineering work). 1000m of track in the Walthamstow QR station area will need to be lowered to provide enough clearance, thus the footpath link to Walthamstow Central will be unavailable throughout the closure. In addition the road bridges at Upper Holloway and Harringay Park will need to be rebuilt. Platforms, where not long enough already, will be extended to 4 coach length. The full 4 coach electric service will not commence until 2018 (the current 2 coach 172s will maintain the timetable until the electric stock enters service). Route T: Barking- Woodgrange Park- Wanstead Park- Harrow Green (for Leytonstone)- Leyton Midland Road- Walthamstow Central. Operates daily 4th June 2016- 6th February 2017. 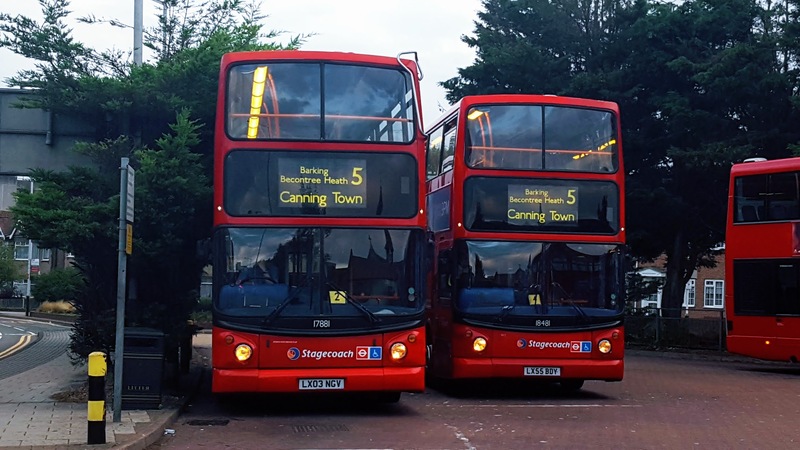 Route J: Highgate Road (for Gospel Oak)- Upper Holloway- Hanley Road (for Crouch Hill)- Harringay Green Lanes- Seven Sisters. Operates weekends from 4th June 2016, then daily from 24th September until 6th February 2017. Information posted with thanks from Barking- Gospel Oak Rail Users Group. Interesting that they are forcing people on to the tube between Seven Sisters and Walthamstow. Sneaky way of making sure they get a fare from everyone using PAYG! They'll be in trouble if there are any tube strikes or the Vic Line falls over. I imagine locals will be disappointed about the Queens Rd footbridge closure as it gives such a quick link but I am not surprised it's closing. I had suspected that would happen. A couple of relevant Mayor's Answers on the closure and service afterwards. Something tells me Mr Biggs' questions were supplied by the line User Group!! Another snipped about GOBLIN works - this time Wightman Road in Harringey. The bridge over the GOBLIN is going to be replaced as apparently it's in dire condition and needs raising too to give clearance for the wires. The traffic restrictions are pretty severe which is going to do nothing for traffic on Green Lanes. Still once it's done and the weight restriction goes it offers the prospect for a new bus route to run along there. Sorry to bump, but once done and electrified, will the GOBLIN trains all run beyond Gospel Oak to Willesden Junction? At the moment 2 peak AM trains go there. AFAIK trains will not deviate from the current timetable, this is probably due to pathing issues from freight and the normal North London line. Through running on a regular basis was ruled out long ago. Gospel Oak station would have to be significantly rebuilt to provide two GOBLIN platforms if trains ran through to the NLL. There would also need to be footbridges and lifts too which I doubt would go down very well with the local populace! 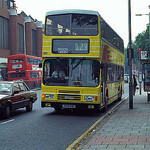 We know Gospel Oak is not going to be rebuilt during the short blockade of the west end of the route. It is worth bearing in mind that the funny train movements on the GOBLIN, including use of the Barking flyover, are all because the 8th train is run in service to try to cope with peak crowding. Given the new trains should offer more than 100% extra capacity compared with the DMUs I'd expect all the odd workings will die when the electric trains are fully in service. Therefore if you haven't done the "hairy" workings then do them before the June blockade shuts the east end of the line. Of course in Feb 2017 when the line reopens the wires won't be energised and there won't be any trains so perhaps the current timetable will be reinstated for about 10 months or so. Network Rail and TfL to hold drop in sessions about the upcoming blockade and electrification works.